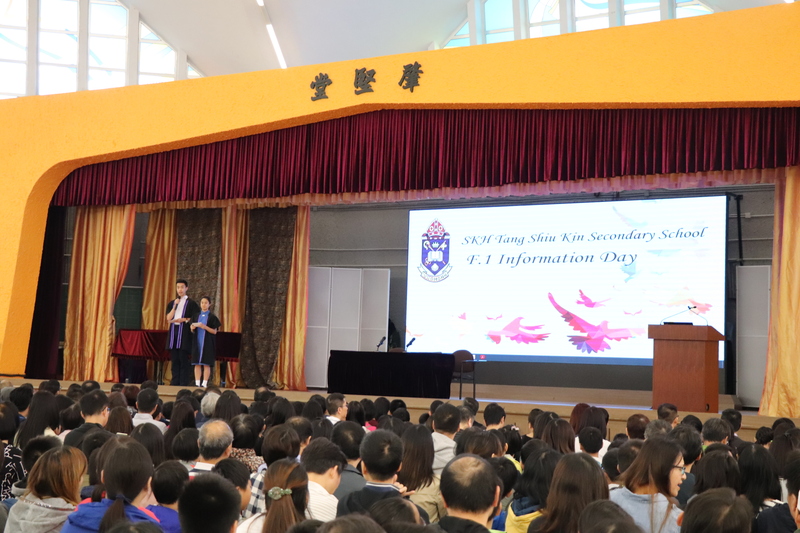 This year our F.1 Information Day was successfully held on Saturday, 3 November 2018. There were two sessions of activities, with about 2000 Primary 6 students and parents attending the first part in the hall, followed by a school tour guided by more than 90 outstanding prefects and student ambassadors. 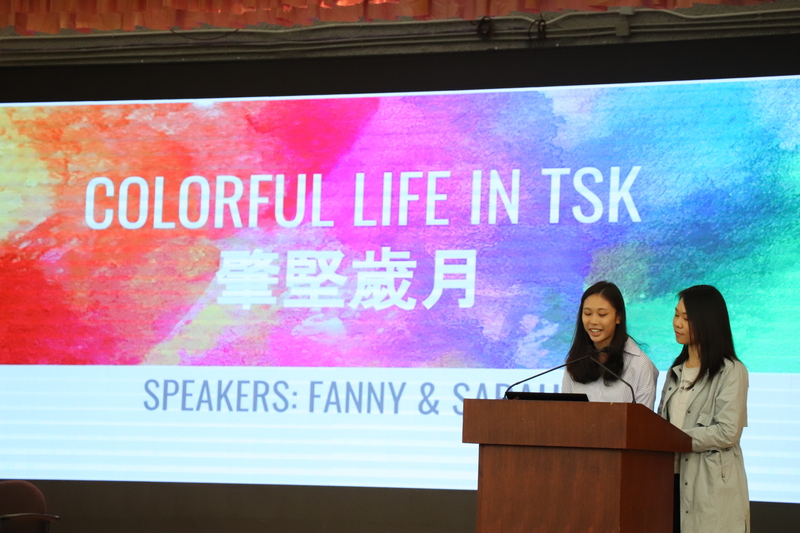 Apart from the Principal’s sharing about the school vision and mission, and the school information provided by our teachers, two alumnae were invited to share their colourful school life in TSK. The annual school video was also broadcast, showing various school activities throughout the academic year. 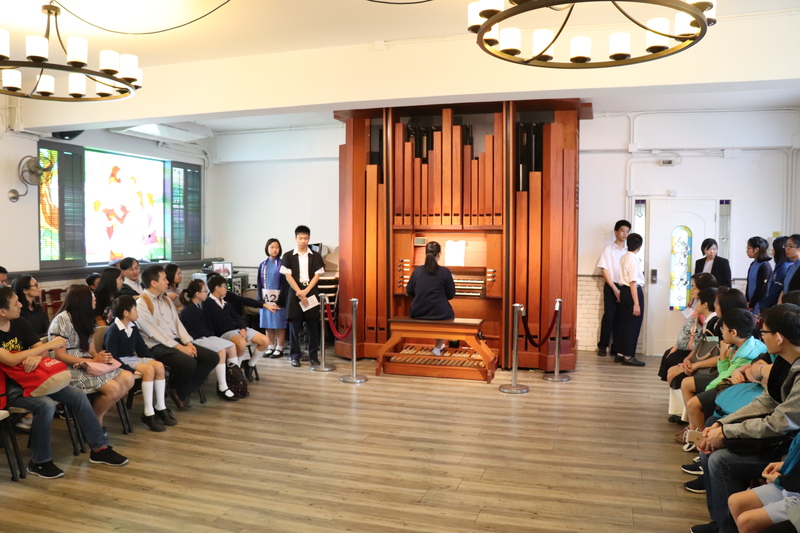 Besides having over 60 TSK students helping to explain the school facilities to the visitors at different places on campus, there were also musical performances in music rooms. The whole event ended at about 1:00 pm. It is hoped that the F.1 Information Day will help the Primary 6 students and parents understand more about our school.